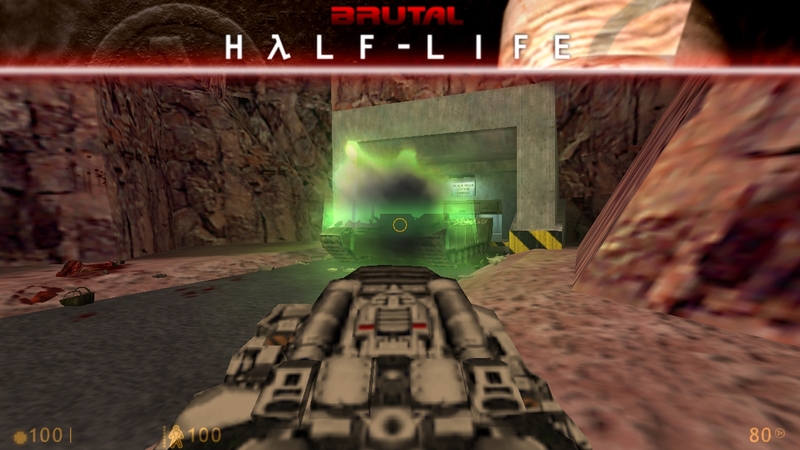 Incase the original Half-Life wasn’t gory enough, ‘Brutal Half-Life‘ is an upcoming Goldsrc mod which attempts to add even more blood, gore and gibs to Gordon’s quest through Black Mesa. Inspired by the award-winning Doom modification ‘Brutal Doom‘, the community developed Half-Life mod was released as a first beta (version 0.1). The mod also incorporates new gameplay features such as a kick melee, secondary weapon attack ability and a damage skills system. Also, did anyone say BFG? So far the mod has received a 10/10 rating on ModDB and has seen some positive attention from the Doom and Half-Life communities alike. So if you are in the mood for some gore intensified Half-Life, or just wanting to unleash your inner psychopath, this could be the mod for you. You can download Brutal Half-Life and find more about the beta release over on ModDB. When the scientist looses his glasses when hit with the crowbar <3 – a must try!